Heavy rains lashed Saurashtra region of Gujarat as a result of the south westerlies rushing in and the formation of a low in the bay. Heaviest rainfall figures for Wednesday: Visavadar: 396 mms, Talala: 225 mms, Kodinar: 205 mms, Dhari: 142 mms, Valsad: 139 mms, Bhagasra: 124 mms, Mahuva: 115 mms,Upleta: 107 mms, Doraji: 105 mms.
" From this weekend, I maintain of good rains in Gujarat and Rajasthan (refer my blog ).Again,I am encouraged by the he FNMOC forecasts which shows heavy rain over west Madhya Pradesh-east Rajasthan border and then moving further into N.Gujarat/Rajasthan during this period, when,all parts of the State are expected to receive rains during the week ending July 22". Btw what is the diff. between a UAC and a low and the diff levels such as lower middle and upper tropospheric levels. UAC is a circulation aloft, at an higher level,and a low is generally at sea level. Both are due to fall in comparitive pressure at respective levels. Rohit, i think a total absence of any system or depression from the bay has kept the interiors short of rain. Not actually short in mm terms, but lesser rain days. Its pretty interesting to see rains lashing western coast including mumbai and deficient in interior. Thanks you for explaining abt the UAC Rajesh. Just one more question. 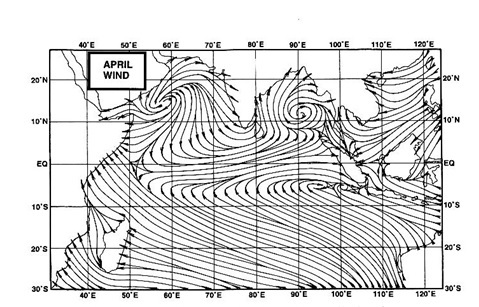 What is the monsoon axis that the IMD talks about and how can one see it on a weather chart? Akshay, sure I'll go thru your views. Should be ok, since your study on this subject is good.